Luis Enrique has been named as the new coach of Spain. The Royal Spanish Football Federation (RFEF) has announced the former Barcelona boss will be the full-time successor to Julen Lopetegui. Lopetegui was sacked on the eve of the World Cup after accepting a post at Real Madrid, with Fernando Hierro taking temporary charge at the tournament in Russia. 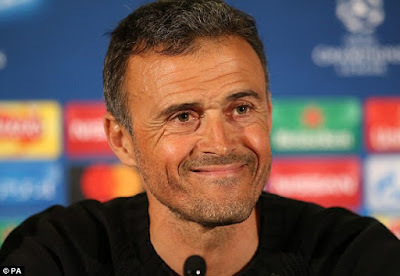 Enrique, 48, won two LaLiga titles and the Champions League with Barca before stepping down last year. He has previously coached at Roma and Celta Vigo. As a player he won 62 caps for Spain and played at three World Cups as well as winning Olympic gold in 1992. We say big congrats to him.